Hemvati Nandan Bahuguna Garhwal University (HNBGU) Recruitment 2016, In the Hemvati Nandan Bahuguna Garhwal University (HNBGU) Recruitment 2016, Current Govt. Jobs for Professor, Associate Professor & Assistant Professor at the Hemvati Nandan Bahuguna Garhwal University (HNBGU) Recruitment 2016. Hemvati Nandan Bahuguna Garhwal University (HNBGU) Recruitment 2016 Professor, Associate Professor & Assistant Professor Posts November 2016, Hemvati Nandan Bahuguna Garhwal University (HNBGU) Recruitment 2016 have been decided to recruit Professor, Associate Professor & Assistant Professor Posts Advertisement Date 18th November 2016. Important Dates which candidate should remember when applying Hemvati Nandan Bahuguna Garhwal University (HNBGU) Recruitment 2016 as follows. 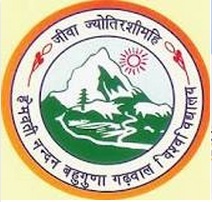 Probably you are waiting for this Hemvati Nandan Bahuguna Garhwal University (HNBGU) Recruitment 2016 Notification you can apply online Hemvati Nandan Bahuguna Garhwal University (HNBGU) Recruitment 2016 posts Professor, Associate Professor & Assistant Professor. Now the question is who can apply the Hemvati Nandan Bahuguna Garhwal University (HNBGU) Recruitment 2016 Job, -Well those are planning to apply for this / these Professor, Associate Professor & Assistant Professor Posts should have the following minimum eligibility criteria. Also Check the Advertisement Details. (i) An eminent scholar with Ph.D. qualification(s) in the concerned/ allied/ relevant discipline and published work of high quality, actively engaged in research with evidence of published work with a minimum of 10 publications as books and/or research/ policy papers. (iv) A minimum score as stipulated in the Academic Performance Indicator (API) based Performance Based Appraisal System (PBAS),set out in UGC Regulations 2010 in Appendix-III. (iii) A minimum of eight years of experience of teaching and/ or research in an academic/ research position equivalent to that of Assistant Professor in a University, College or Accredited Research Institution/ industry excluding the period of Ph.D. research with evidence of published work and a minimum of 5 publications as books and/ or research/ policy papers. (i) Good academic record as defined by the concerned university with at least 55%marks (or an equivalent grade in a point scale wherever grading system is followed) at the Master’s Degree level in a relevant subject from an Indian University, or an equivalent degree from an accredited foreign university. (ii) Besides fulfilling the above qualifications, the candidate must have cleared the National Eligibility Test (NET) conducted by the UGC, CSIR or similar test accredited by the UGC like SLET/ SET. (iii) Notwithstanding anything contained in clauses (1) and (2) to above candidates, who are, or have been awarded a Ph. D. Degree in accordance with the University Grants Commission (Minimum Standards and Procedure for Award of Ph.D. Degree) Regulations, 2009, shall be exempted from the requirement of the minimum eligibility condition of NET/ SLET/ SET for recruitment and appointment of Assistant Professor or equivalent positions in Universities/ Colleges/ Institutions. (iv) NET/ SLET/ SET shall also not be required for such Masters Programmes in disciplines for which NET/ SLET/ SET is not conducted. >> HOW TO APPLY ONLINE HNBGU RECRUITMENT 2016 ? The Interested candidates who are going to apply Hemvati Nandan Bahuguna Garhwal University (HNBGU) Recruitment their selection process will be based on Presentation/ Seminar/Interview or a Combination thereof.